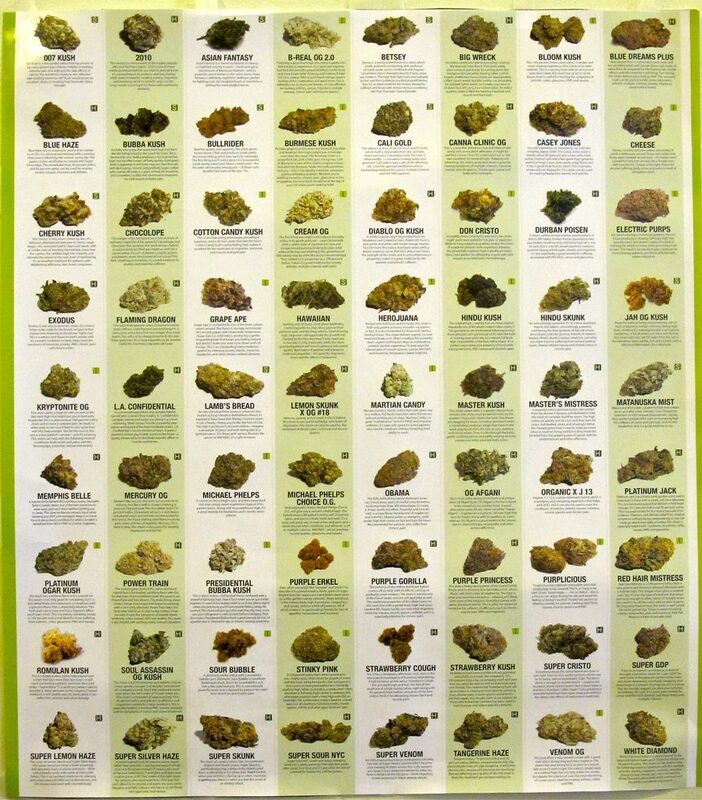 There are thousands of marijuana strains. Think of it like tomato plants. There are more than 3,000 varieties of heirloom or heritage tomatoes in active cultivation worldwide and more than 20,000 known varieties according to Ethno-Botanik.org. A strain of marijuana is like a variety of tomato plant. Some are bushy, some are tall, some are sweet, some, dry, some gooey. Marijuana plants have been cross bred to highlight different characteristics, such as to get different effects from the approximately 100 cannabinoids present, or to bring out a smell and effect from the different terpenes present. Terpenes are naturally occurring hydrocarbons that produce the smell, and have an effect on the cannabinoids as well. A lemony smell is the terpene limonene, which is also found in citrus fruits. Patients can be allergic to some terpenes, or strains of marijuana. This is another reason it is more helpful for patients to have access to the natural plant such as the dried buds, or the ability to grow their own. Patients with allergies to certain strains can avoid those strains. Often a patient can tell merely by the smell if a particular strain is one they should avoid. Another quick test is to rub the bud on the inside of your wrist to see if there is a reaction. If a patient is allergic to alpha-pinene for instance they would immediately know to stay away from piney smelling marijuana. In Florida however, none of the growers disclose what strains they are selling. In fact, they have relabeled the strains with their own names. And it appears none of them will be offering dried bud either. At least not yet. Even if the Florida marijuana growers happened to develop their own strain, it has to be bred from existing plants. They would still be able to list the source. ie a cross between strain x and strain y, which would allow the patient to be better educated. However Florida lawmakers have circumvented the will of the people by establishing a system that is shrouded in mystery. Currently patients are not allowed to grow their own plants which also provides health benefits by having access to fresh marijuana for juicing. The cannabinoids THCA, and CBDA are powerful antioxidants which provide pain relief and have been found to kill cancer cells. These cannabinoids are only available from the fresh plant which can be juiced, and does not have the psychoactive effect.